An Interview with Paul from Hey Colossus. This time I am not doing a record review because instead I have interviewed Paul from Hey Colossus who I did a review of last time. 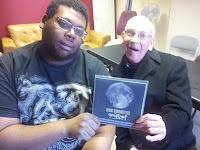 I was very pleased when I found out about doing the Interview and very grateful to Paul for doing it. Here are the questions and the answers to the interview that we did, I hope people enjoy reading them. I know Hey Colossus is a noisy rock group with a lot of people in it but I don’t know too much more, could you tell me things like how many people are in it, how long have you been together and what does everybody do? Also, I was wondering because there are so many of you do you all get on well? Hello Peter. We currently have 7 people playing in the band, each member uglier than the last. The group has been together for about 10 years I believe, but I've not been in it for that long. Some of the founder members are very old and need a lot of help with basic tasks such as tuning a guitar. In terms of what we do - we have four guitarists, two of which sing, one of whom dances, a drummer with a thick neck, and two men with pedals and noisy boxes, one of whom sings a bit, the other preferring to grow his hair into afro's and talk lovingly of the stars and the planets. We do get on very well and I sometimes wonder - How? Do you like being in a rock band and what do you like and not like about it? I’ve been on stage a few times myself with the band here at the Gate and the songs that I sing are Monster Mash and Hit Me with Your Rhythm Stick, do you like being on stage, do you get a lot of people who come to see you and do you get nervous at all? Also, do you ever smash up your instruments like The Who did? I would like to see a band do this. Being in a rock band can be fun. There are times when you can get to turn your amps up really loud and jiggle about dancing on a stage and you get rewarded with free beer and sometimes money. There isn't much to dislike about it apart from being in a van for a long time with older men who have smelly wind coming from their bottoms - AND THERE'S NO WAY OUT OF THE VAN PETER! We don't really get many people coming to see us, but it doesn't matter does it? As long as one person is having fun then it's all worth it. On the odd occasions when more than one person is looking like they are having fun in the crowd then it's time to party! We don't tell each other, but I reckon some of us are nervous on stage. It's part of the fun of playing, when you take the nervousness and magically turn it into energy. Or sometimes it goes wrong and the nervousness comes out in the form of horrible smells. I have smashed a guitar on stage with another band I was in, and it seemed like fun at the time until the poor owner of the club came up to me afterwards to tell me that he'd just spent all his money on getting the stage nice and new and that I'd ruined it and that he didn't have any more money to fix it. It was selfish thing to do and I felt terrible. It's always worth remembering other people's feelings. Although it was also a lot of fun, so nevermind! Do you have a lot of girls coming to see your band and do you like girls or are you married? I like girls but I’ve never had a girlfriend though I would like to find one so I could take her out for meals or maybe I could go to one of your concerts with her and then maybe get married. Do you think being in a band is a good way to meet women? Girls don't come to our shows, really. And you can't blame them - we all look like drunken librarians, apart from the drummer who looks like a sober binman. Being in a band is probably a good way to make special friends with ladies, but not if you're in this band. When I was listening to the Cuckoo Live Life Like Cuckoo record I liked it very much but I couldn't really make out some of the words because the voices were a bit too growly - do you think this matters and what sort of things are the songs about? That's an interesting question. I'm not sure if it does matter if you can hear the words very well. It would probably matter if we wrote words that we thought should be heard really well. Actually, this LP that has just come out has the clearest vocals and words on any Hey Colossus record, so maybe we're getting better at writing songs. Or worse. I'm not sure! 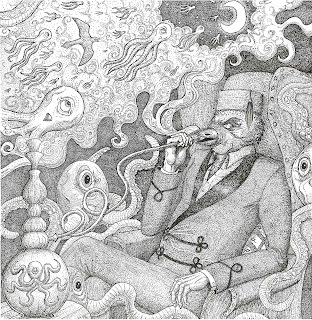 The songs are generally about absurd people and situations. The world can be rather grey sometimes, like a cucumber sandwich. Our songs are a like a sprinkle of pepper, or a dollop of lovely mustard. And then you just put the cucumber in the bin and eat the pepper and mustard on a bit of bread. I like all sorts of music but I especially like music from the 60's and 70's like The Kinks and The Rolling Stones and The Who. Do you like all types of music or just noisy music and could you tell me about other bands that you think people might like if they like your band? It would be very boring if all we listened to was noisy music. There's lot's of different, amazing things that the world has thrown up and we all like lot's of strange and lovely things. And the 60's and 70's were a very good time for rock music, so I agree with you on that. It sometimes seems a bit silly to be making rock music these days, but we're cantankerous old buggers! Here's some youtube links for some things that we like - maybe you can listen to them and tell us whether you like them? German Oak - "Raid over Dusseldorf"
King Tubby - "Laser Rock"
Bobadin - "Mother that Curses People"
And that's all the questions that I have, I hope you like them but if you can think of anything else you would like to say then that's okay, do you have anything you want to ask me? Just thanks a lot for asking. It's nice that someone should care to be bothered about us, and you seem like a bloody lovely chap! Thank you very much for doing this interview and I hope you are well. You too, Peter. Life is good! So that's our interview, I hope everybody enjoyed reading it as much as I enjoyed it - I especially liked him talking about the farting in the van because that made me laugh and made me think of Wayne who also lives in my house who farts a lot, Wayne is alright but he does lots of smelly farts. I also thought it was interesting about smashing the guitar and I think Paul was right to feel a bit bad about smashing the guitar on the new stage but I think I'd still have a go at smashing one if I got the chance. As for the songs that Paul sent along I liked them all very much; the Faust song I liked especially because it reminded me of Donovan except it is a bit more weirder than Donovan, I would definitely like to listen to Faust a bit more. German Oak I liked too and I thought it was a bit like The Shadows who did Apache who I like a lot. 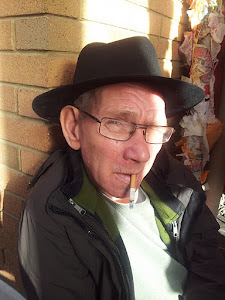 I thought it was interesting that Paul sent the King Tubby song because I wasn't expecting him to like reggae, I like reggae very much and we play a lot of reggae here at the Gate because everybody here likes it a lot too. 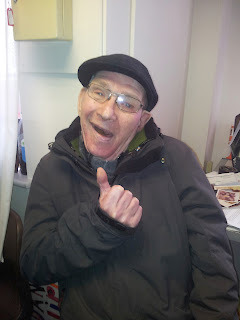 The Phil Minton video I thought was very funny indeed and it reminded me of throat singing, I learnt all about throat singing for another review that I did and I had a go at it with my friend Francis and I think I was okay at it but francis was a bit more better. As for the Bobadin song, I really liked too because i've never heard anything like that in my life before and I thought it was very good to listen to because it is funny and weird and would like to thank Paul for sending it and all the others too, they were all very nice to listen to and I think other people who read this will find them interesting too. To finish up I would like to thank Paul again for everything and also thank you Lauren for organising things - I have had a smashing time doing this and it has made me feel very good. 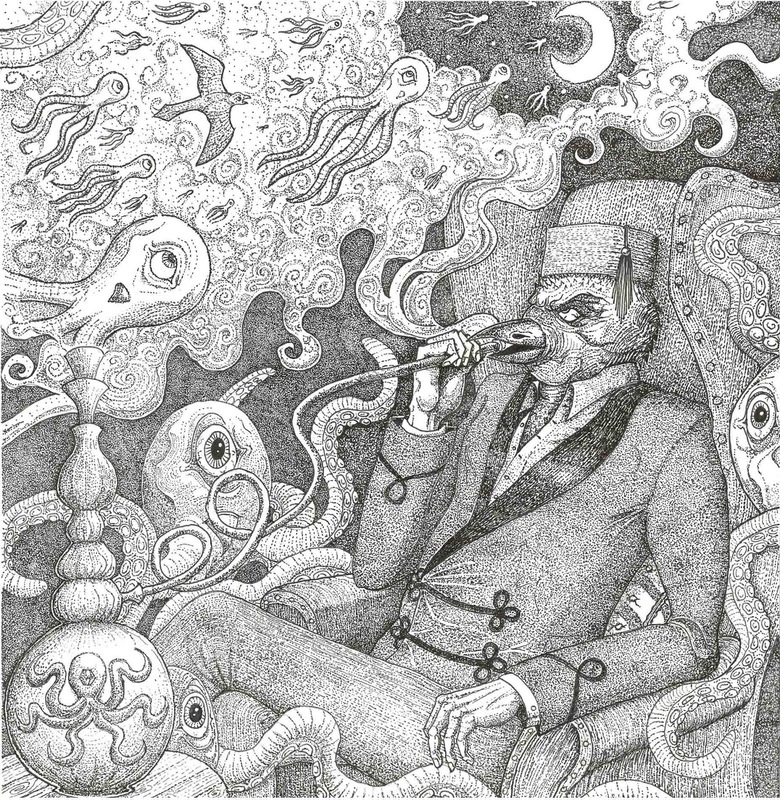 Hey Colossus - Cuckoo Live Life Like Cuckoo. And now I am reviewing a new Record from Hey Colossus called Cuckoo Live Life Like Cuckoo - I got this music to listen to from Lauren who is the person in charge of giving people their music to review and I would like to thank her very much for sending it to me because I like Hey Colossus a lot. I have heard of Hey Colossus before because I reviewed them right back when I started reviewing records - I remember it very well because I got sent a T-Shirt of theirs from the record company that put out that record for doing such a good review, I like the T-Shirt a lot and am looking forward to when it's hot in the summer time so I can wear it again. For those of you who don't know Hey Colossus they are a rock band from Somerset and London and they are a big noisy group because there are eight of them all making a racket on loads of different instruments and you can hear this on this record. If you listened to this you will hear that it is a very good song, I think it is a very good way to start the album because it's very rocking and puts you in the mood to hear more. After Hot Grave is Octave Dokkter and this one is a bit slower than the last one but it's still quite good, the singing on this one sounds a bit like somebody who is very angry having a row with somebody. Again though it is hard to make out the words so I made up a story about a man who doesn't want a baby being told that he is going to have a baby by his girlfriend and he is shouting at her to go to the doctor but I don't think that's what the song is about really I just think that is something people would argue about - I don't even know much about arguing though because I've never argued in my life with anyone, not even my mother and father or brother and sister. I liked this song a lot and thought it was quite relaxing even though it is noisy and has lots of shouting in it because of how slowly it goes. The next song is called How to tell the time with Jesus which is a bit of a funny name innit? I don't know why they've called it that but I suppose it's as good a name as any for a song. This one starts of by going duh duh, duh duh over and over and sounds like a didgeridoo and then the guitars start and it gets louder and louder and then the singing starts and it's softer singing than on the other songs but I still can't make out what the words are and then another voice starts shouting over the soft voice and then then there's another voice and a noise which sounds like farting which I thought was very funny. After the farting it all sort of stays the same for a while before really getting loud and wild - one of my favourite bits was someone screaming Aaaaaarrrrgghhhh!! as if they were getting killed or maybe as if they had jumped off a high building - I liked this song a lot, it made me laugh and there was lots of good things to listen to in it. After How to tell the time with Jesus is a song called Leather Lake and this is another one with lots of guitars and shouting in it. I liked this one a lot because it has a noise in it that sounds like a hearing aid makes when it's broken, I have hearing aids but I don't wear them very much because they keep falling out my ears and I don't think I really need them that much because I can hear fine without them. Next up is English Flesh and I think this might be about if you were dead and they sent you abroad and fed you to the vultures. This song starts off all fast, loud and rocky and made me think of a lot of people running in a street riot because there is lots of angry shouting in it but then it slows downs and gets softer and a bit weird, I liked this one a lot. The last song is one that starts off all slow and soft with nice guitar and some whooshing space noises and then it goes really quiet and the singing starts and was a bit different than the rest of the record because I could make out what the words were. It stays all quiet then for quite a bit and then the voices come in again but they are more shouty so I couldn't make out the words again and then it all starts to get louder but not as loud as all the rest of the record because this is quite a soft song and I thought this was a good way to end the record after all the noisier songs. Overall I would say I enjoyed this record very much and I was glad to listen to more Hey Colossus because I think they are a very good band and I hope they keep making records for a long time and get very famous because I think a lot of people would enjoy them. I would give this record 10 out of 10. 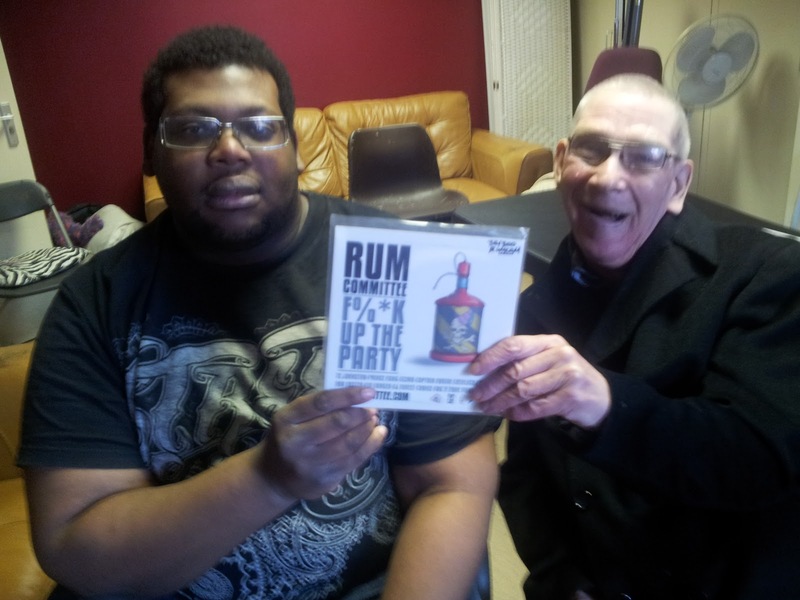 Rum Committee - F%*k Up The Party / Boozetown. Bukioe who is also in Rum Committee. 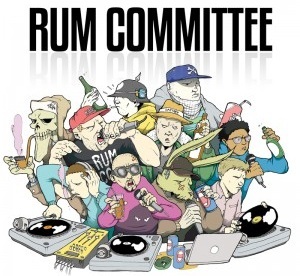 This time I am record reviewing a rap record by a rap band from Brighton called Rum Committee. I've not heard much rap music except for there was a man called Michael who used to work in the house where I live and we used to listen to some together because that was the sort of music he likes. To help me with this record I got my friend Darren, who also comes here to the Gate, to help. Darren also likes rap music and he makes his own music where he calls himself 2Decks. Darren told me rap music comes from New York and first started out in the late seventies and it started off when a DJ called Kool Herc used to have parties in New York and he used to get MC's (which is what you call rappers) to chant over the songs and then later this became rapping. Rapping to me is very interesting because it's like talking a song instead of singing it. The band on this record though are not from New York because now people make rap music all over the world, even in the UK and as I said Rum Committee are from Brighton - I was interested by this because I thought it was just Americans that made rap music but I think it's very good that it caught on so that lots of different people can do it. I think it's interesting that this band are from Brighton because I like Brighton very much because it is a very good place to go to and I've been many times; I like going on the beach and to the pier and to the DVD shops there. Another thing I think is interesting is that there is ten people in Rum Committee which seems a lot but I suppose that it's a good thing to have a lot of people in your band as long as you all get along. The song on the other side of the record (because this is just a 7" single with one song on each side) is called Boozetown and I think Boozetown must be a place where they drink a lot of booze but I think it must be a made up place though when we looked it up to see if there was a really place called boozetown we did find out about this place here which is a place that a man once wanted to make where all anybody did was drink but he didn't make it in the end - maybe this is the place that Rum Committee are rapping about. Overall I think this was a very good single and I liked listening to it a lot but my favourite is F%*K up the Party which I like because of the swearing in it but I think Boozetown is very good too. I was interested to learn a bit about rap music and I would like to learn a bit more - I would give this record 10 out of 10.